The Javanese are from the country of Indonesia from the island of Java. Specifically, they come from central and eastern Java along with the northern coast of western Java. Not only do they speak the national language of Indonesia, Bahasa Indonesia, but they also speak Javanese. It is the native language of over 100 million people with over 40% of the total population of Indonesia speaking Javanese. Culturally, Javanese people value many different art forms. The wayang is a puppet-form of art used mostly for theatrical performances. They also value music using the gamelan, a type of gong made from bronze, iron, bamboo, or bars made of wood. The majority of Javanese adhere to Sunni Islam. However, some are Shia Muslims. Practically, their practiced form of Islam is often mixed with their traditional animistic beliefs. 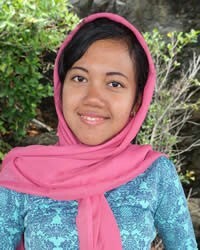 Pray that Christians will be alert that some Indonesians that they encounter are actually Javanese people. Pray evangelical Christians will intentionally share the Gospel and make disciples who will make disciples among the Javanese. Pray God will enlighten the hearts and minds via dreams and other means to understand and receive the Gospel of Jesus Christ.